Location, location, location!!! 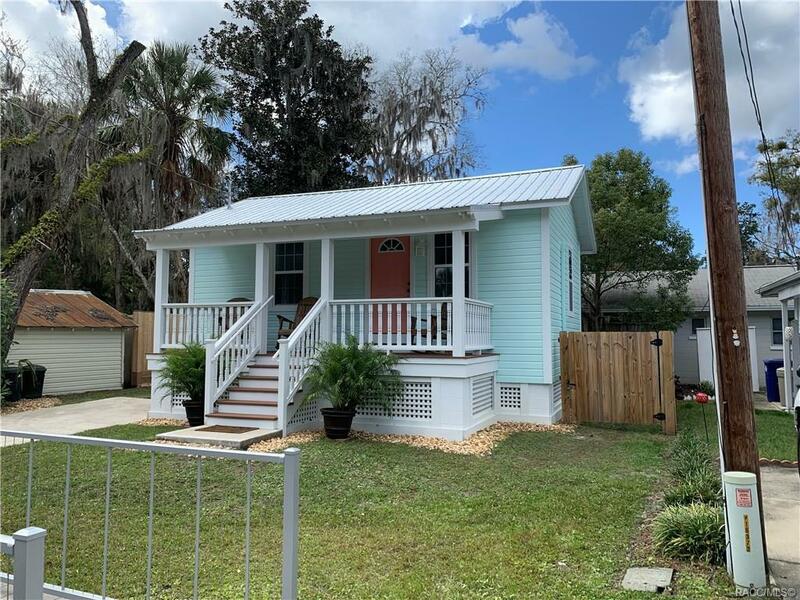 Perfectly nestled in one of the most desired neighborhoods in downtown Crystal River. Close to the shops on Citrus, local eatery's, festivals and the crystal clear waters of Hunter Springs. This 1952 built gem was raised above the 9 foot flood elevation and completely remodeled in the last two years. New items include tile flooring, granite counter tops, stainless steel appliances, new metal roof, doors, windows and plumbing. Hop in your golf cart or stroll on the sidewalk to Hunter Springs for a swim in the refreshing 72 degree water. While you're there you'll see the famous Crystal River manatees. Home is zone commercial residential giving the opportunity for a small business. Directions: From Hwy 19 N, Left On Citrus Ave, Left On NE 4th St, Right On NE 1st Ave, Home On The Right.